Heeft u een vraag voor Mile 36 Lodge? Mile 36 Lodge is gelegen in Kundasang in Kinabalu Nationaal Park en een uitstekende keuze voor een ontspannen verblijf. Op slechts 14.3 km gelegen vanaf het stadscentrum en 89.5 km van het vliegveld, trekt dit 2-sterren hotel jaarlijks vele reizigers. Dankzij de praktische locatie liggen alle belangrijke trekpleisters in de buurt van het hotel. Bij het Mile 36 Lodge staan de excellente dienstverlening en superieure faciliteiten garant voor een onvergetelijk verblijf. Voor het comfort en gemak van de gasten biedt het hotel supermarkt, dagelijkse schoonmaak, taxi service, 24-uur receptie, snel in- en uitchecken. Alle accommodaties beschikken over doordachte voorzieningen om een ongeëvenaard gevoel van comfort te garanderen. Het hotel biedt een uitstekende variëteit aan recreatieve faciliteiten, inclusief tuin. Als u zoekt naar comfort en gemak in Kinabalu Nationaal Park, dan is het Mile 36 Lodge uw thuis ver weg van huis. Na met betalingsmethode 'Betaal bij het hotel' te boeken kan vereist zijn om de borg binnen 3 dagen over te maken. Alle gastenkamers bij deze accommodatie zijn rookvrij. Voor de kamertypes Bungalow, 3-slaapkamer Chalet, Cottage en Pension zijn tegen betaling van een toeslag badhanddoeken beschikbaar. het uitzicht vanaf het balkon om 6 uur `s ochtends,daarna wolken. als je hier de goedkope(veels te duur voor wat je krijgt) kamer boekt, wees er dan op voorbereid dat de flinter dunne muren geen enkel geluid van de buren tegenhoudt.gelukkig hadden wij maar 1 nacht geboekt. The staff are very friendly and the room is v clean. Pros (+) Clean and nice room. Good value for money. Breakfast included. Body shower provided. Parking provided. Nice view. Location wise is very strategic. Cons (-) Noises from the people at the room upstairs. Same menu for breakfast EVERYDAY. Lot's of menu unavailable ('not in time to get the raw materials supplied due to CNY' the staff said). Recomended place to stay. Was a bit cold at night. No tv. Line coverage were not strong, however they provide wifi (but in slow speed). The view is nice, breakfast included. Overall was good but can be better. Lovely staff, quiet location, no hot water, walls are very thin if you are staying at the long house, so can be quite annoying if you have loud neighbours. Close to the centre if you have a car. Breakfast was included and very nice service. 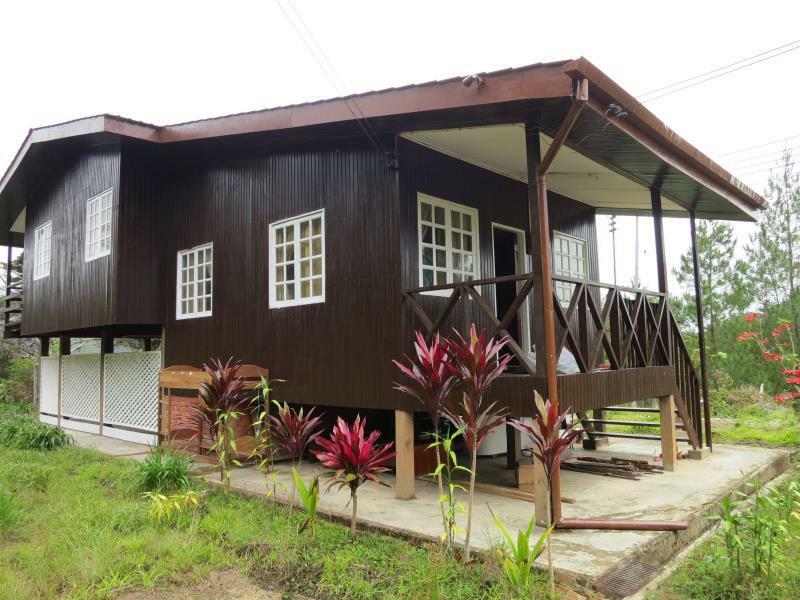 The pro is location not too far away from kinabalu park. Environment is considered clean and staff is friendly but reception counter not operate 24\7. Con is paid for the most expensive family room but not being offered with room with mountain view. The hot and cold water tap at sink placed separately, how can we get warm water to wash face? No water pipe in toilet, not convenient for us. Walkable distance to Kinabalu p Park. Room facilities are very basic but nice surrounding with flowers. Although we not rent the room with mount kk view, we still can view wonderful sunrise and also view mount kk from outside the room (you need to find them). Contact no. of transportation is there, so you better call yourself as the receptionist only knows about taxi rather than mini van (public transport there). They're friendly to answer the questions raised just themselves not knowledgeable enough. (maybe due to public transportation system in Sabah is quite terrible which lead to travel here is better to self-drive, follow tour, grab, taxi). Pro: 1.Nice mountain view 2. Clean bedroom and bathroom. Con: 1. Mostly plug are broken, raise safety concern. 2. Water heater issue. As follow the instruction, turn on the water heater and wait for more than 20 min, but the water still cold. The hotel is located within close range of Kinabalu park. It is also considerably near to the Desa cattle dairy farm. 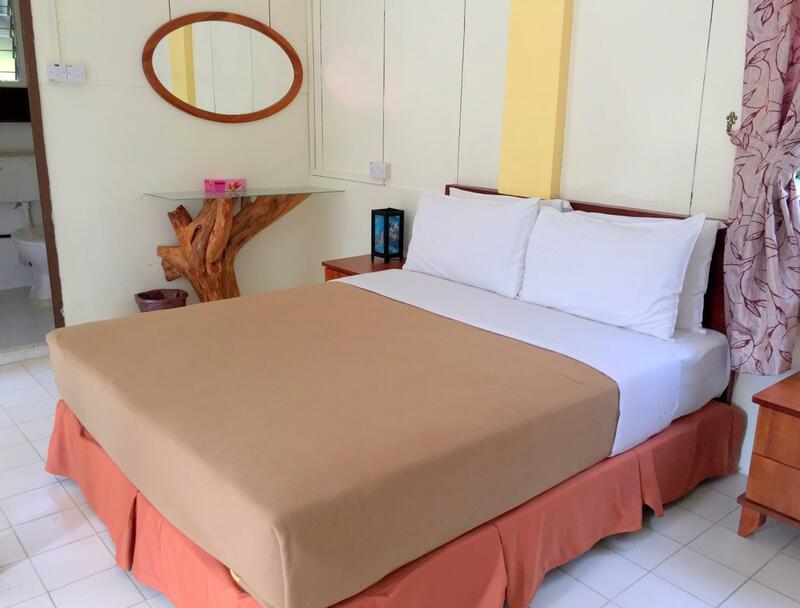 Overall, the rooms are clean and offers good environment for a relaxing stay. I encourage travelers to select the double rooms with balcony (Begonia section) facing Mount Kinabalu, it offers a breathtaking view of Mount Kinabalu. Dinner is available as there's a dining hall a.k.a cafe. It's very convenient you don't have to worry about your meal. The only downside was the weak wifi. Overall, very good stay. Water heater need to replace with more power to heat the water because it really important in the morning..water cool like ice..hard to use other than that it good.thanks you. Location is okay. Water heater is functioning. please take note that this place provide you NO TV. and the coverage network for Digi is very bad (no service at all) Limited parking, and had to climb down to the room. To young couple, it would be no prob. For the first night is okay for us, although we were quite surprised to saw dogs here and there at the front of our room. First night is okay, but the second night there was this family staying in the next room., and to surprise, their children just smacked their door repeatedly and keep making noise until 2230 hrs in which at one time these children knocked on our door and playing with our door knob. We can't really sleep at that night. We did not blamed the childrwn though, because a child, is a child. But im quite confused, why on earth the lodge management put the family in that kind of room (wall very thin-wood/timber and the room is quite small for that size of a family). I recommend that the management to prioritize big family for a much larger room, and the room that we stayed maybe should be limited to adult guests only. That is my humble opinion, whichever suits the management. They know much better on this kind of business. This hotel are mountain view as seen while booking, near the main road and not peace to enjoy the nice environmental surround. Shower room spacing too small for enjoy the shower and water heater not function well. i was taking shower in very cool condition. Old rooms, really cold and moldy. Room 21 is awful even compared to the others. Really really expensive for what you get. Our room was full of ants (which they cleaned after we asked), bathroom not clean and no power! The owner told us is common! We had to "fight" to get a room change without having to pay more. No wifi except at the restaurant and only if good weather. The most expensive place we have been in Sabah and the worst by far. This is my very honest review. The room : the road to our roon was very steep. So for those who carry big luggage, please be careful. when we first walked in, the room smelt like damp, wet. Since the floor was too cold, i think they should provide extra slippers. The wall was thin. U can hear noises and voices from the other room. Moreover my room is downstairs so i can hear every movement from the room upstairs, it was very disturbing! The toilet: hot water working fine for my room. Breakfast : during my stay they provide fried rice, fried noodles and toast. But if u come late thn the food might finished. However u may order. The view: Breathtaking. The Mount of Kinabalu really took my heart away! Everything is fantastic. All the bed sheets were well cleaned. Cleanliness inside out the house is outstanding. Facility in the area is clean and satisfactory. Receptionist and all other staffs were very helpful. Only some improvement to be considered were the water pressure in the shower was very low and the hot water is not strong enough to fight the cold temperature here. The TV here is only equipt with DVD and it is quite boring. Astro NJOI which is free can be considered. Overall we were very satisfied and we will come again here next time. Thanks Agoda. We spent three nights next to the Kinabalu National Park in Mile 36 Lodge. We decided to take a more expensive room that has a clear view of the mountain. Mind you, it was expensive but then everything in this area is in the same price range. We got a very nice, spacious room with double beds and ensuit bathroom. The latter even had curtains, which I sorely miss in SE Asia’s budget accommodations. Each room on the first floor had a private balcony with amazing view over the mountain! Breakfast was OK, nothing fancy to write home about. There is also a water dispenser which can be used to refill your bottles. There is a small convenience store on site with very friendly and affordable prices. Oh, and there are also board games for you to play if you feel so inclined. The only issues we had during our stay were minor ones: - could be closer to the park - there was no mention of the restaurant being closed on Monday night. We went there almost starving after their opening time to find it locked and completely deserted. Would have been nice if they told us in the morning as we could have eaten on our way back from the park. Anyway, we had a very good time at Mile 36 and I’d absolutely recommend it if your budget is tight.